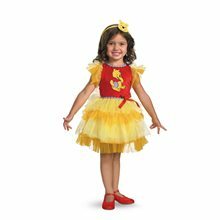 Doc McStuffins Child Costume Tell your daughter to open up the Big Book of Boo Boos, have her stethoscope ready, and present her with our Girl's Doc McStuffins Deluxe Costume! 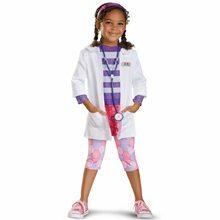 This outfit will allow her to imagine that she's Doc and includes the white and purple striped shirt, polka dot pants, stethoscope, white coat, and headband. 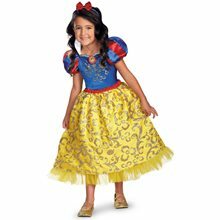 It's made to look just like Doc's outfit.